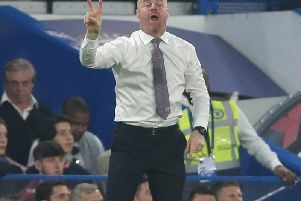 Burnley boss Sean Dyche, Boro manager Aitor Karanka and Brighton's Chris Hughton could be forgiven for experiencing a few sleepless nights as the Championship promotion race closes in on a conclusion. However, online mattress retailer, Leesa, is hoping to remedy that issue by providing the division's leading management trio with new mattresses. With two games remaining in the 2015/16 campaign all three clubs are locked on 87 points with only goal difference separating them at the summit. Boro travel to St Andrews to face Birmingham tomorrow (Friday) in their penultimate outing of the campaign before the Seagulls and the Clarets play on Bank Holiday Monday against Derby County and QPR respectively.